The mobile devices you choose is impacted by a number of variables, and we're here to help you navigate through them all. The variables you need to consider can include the environment (i.e., freezing, hot, wet/moist), how close or far the scanning distances are, the operating system it runs, and the need for cameras (even down to the photo quality or pixel level). 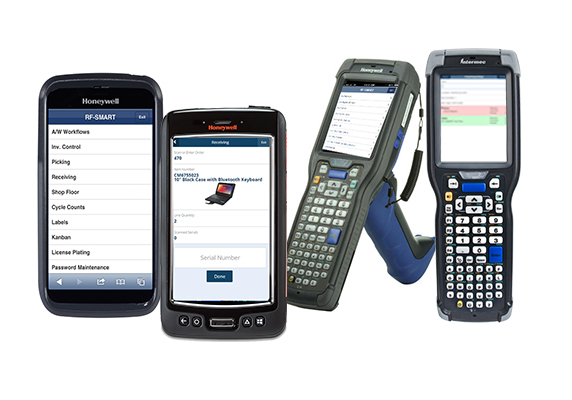 With vehicle mounted terminals, you might even need a particular screen size or have unique keyboard requirements or scanning desires (i.e, bluetooth or tethered, 1D or 2D). Maybe your company needs Vehicle Mounted Terminals, and not just for the forklifts, but could use them at the end of a manufacturing line for such equipment? RF-SMART’s dedicated hardware team has the expertise to answer these questions and can guide you to the best fit. Ask about our growing list of certified devices for AX / D365.